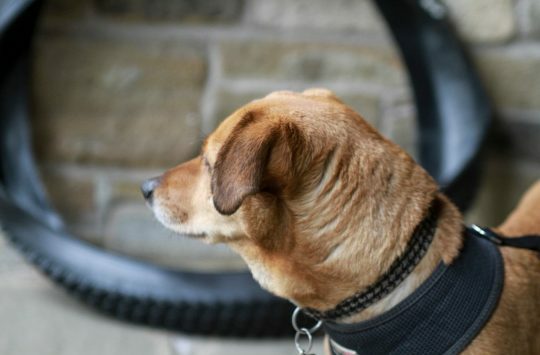 In a country where the climate seems to be increasingly cold and wet, a good waterproof jacket is essential and will could be the difference between going out for a ride and staying indoors. You could argue that ‘once you’re wet, you’re wet’ but the reality is that once you’re wet, you’re just going to get colder and more and more miserable. Mountain biking jackets that have hoods make perfect sense – you’re going to stay a lot drier and warmer if the weather is really bad, the hood isn’t really noticeable when it’s down and if you really don’t like the idea (or the look) of wearing a helmet over the top of a hood, there are a few jackets that have hoods capacious enough to go over the top. 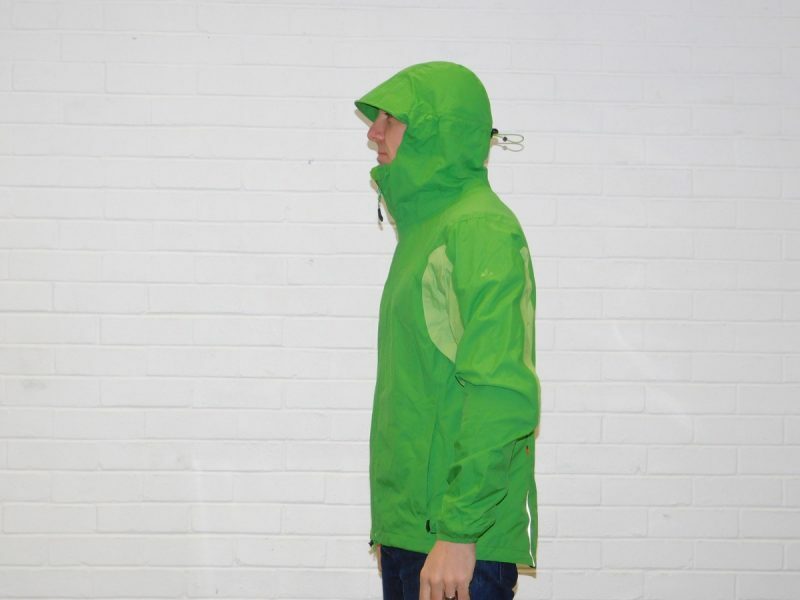 We’ve tested a few of the best hooded waterproofs available right now – all of them have varying amounts of cycling-specific features, waterproofness and breathability as well as a nice cover for your otherwise-chilly bonce. Do you see the man that robbed you in this line up? The latest 360 jacket is constructed from two different ‘weights’ of Altura’s long-established React 3 layer waterproof material. 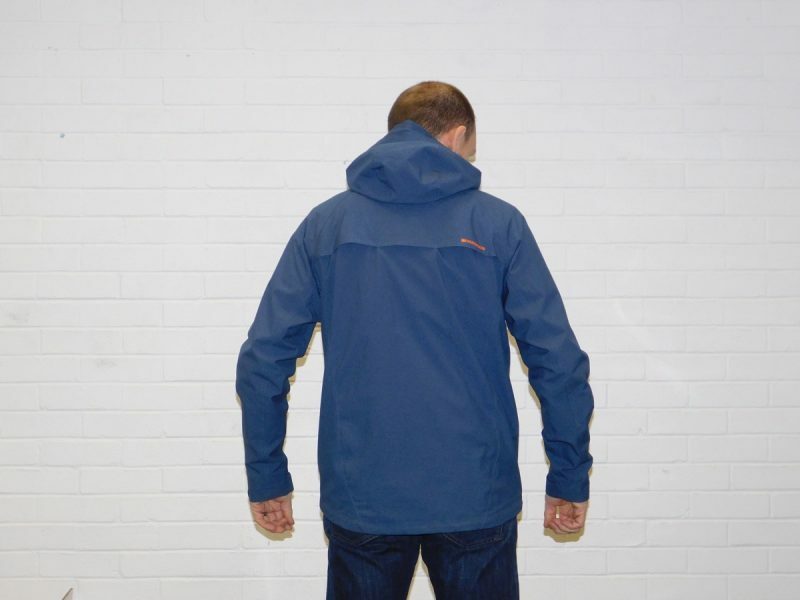 The back, front, shoulders and cuffs are the thickest, most durable parts while there’s lighter material at the elbows, collar and hood to make it more comfortable to wear. It’s a design that works really well – it presumably reduces weight and doesn’t seem to compromise waterproof performance. The thicker material seems as tough as old boots and looks like it’ll take a regular battering for a good few years. 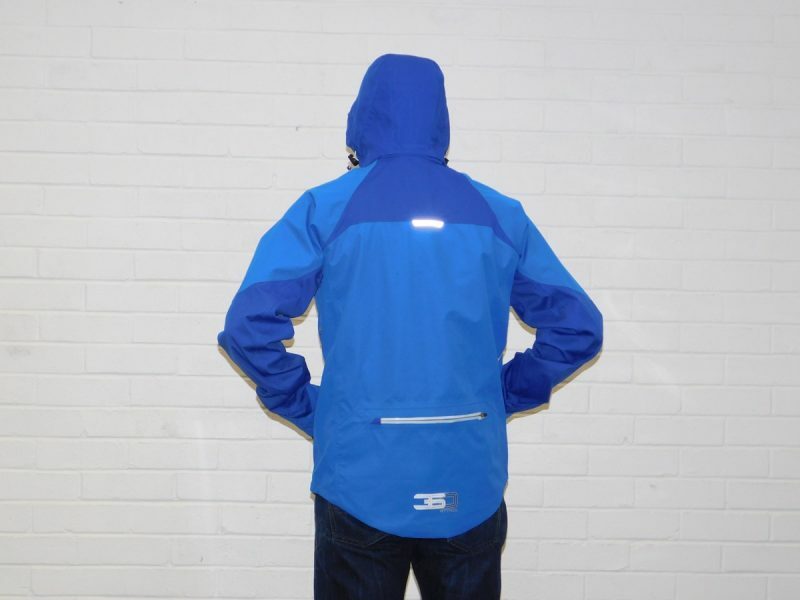 There’s a huge rear pocket with a long, waterproof zip. It should still be low enough to be usable with a backpack (although is that necessary?) but it’s probably big enough to be called a luggage compartment rather than a mere pocket. On the front, there are two vertically-zipped chest pockets that are big enough for your phone or cash. One of them has an internal headphones port. There’s a rigid peak on the removable hood, which while made of a stretchy material, wasn’t big enough or stretchy enough to be worn over my helmet, so helmets have to be worn over the top if the weather’s really bad. Sizing isn’t particularly generous so size up if you’re carrying some timber. The arms are nice and long, there are Velcro straps at the cuffs to tailor the fit and there are elasticated internal cuffs, complete with thumb holes, to provide extra warmth. In fact, this is a BRILLIANT feature and stopped any cold air getting up the sleeves. If you want to cool things down – and you might need to from time to time because this is a WARM jacket – there are a pair of zipped vents under the arms that extend from the armpit to the waist. When open they are basically huge holes – there’s no mesh or anything like that to restrict airflow. 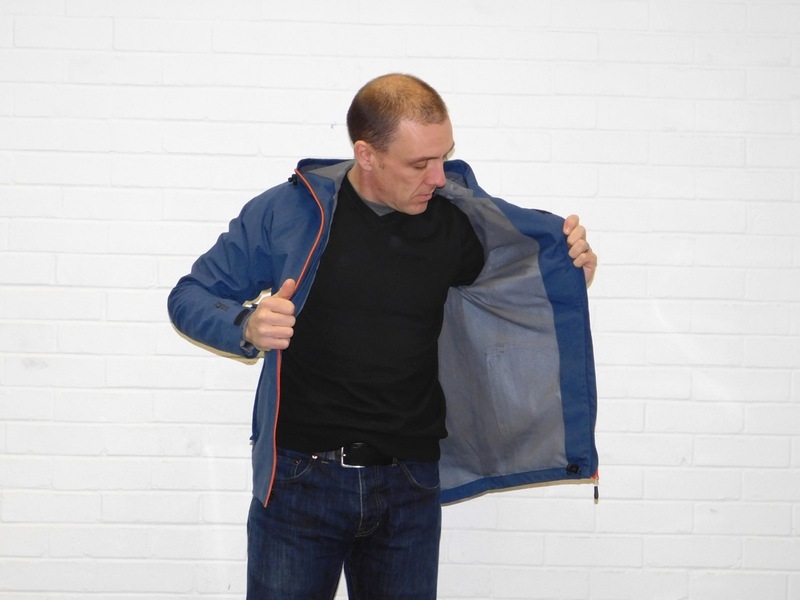 A simple and very effective way of getting cool air into the jacket. I found that I used the vents more often than I thought I would. 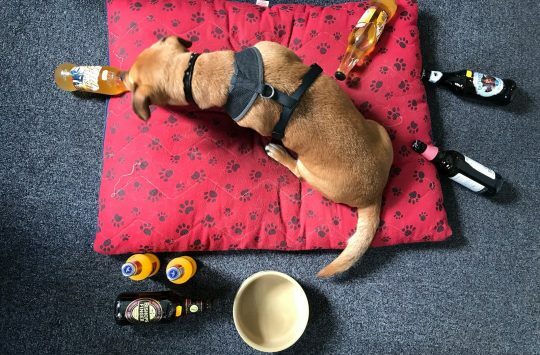 In fairness the test period was chilly but not proper, full-on winter, so as long as you’re prepared to sweat a bit more on the milder days you’ll be more than ready for the really cold ones. The 360 Attack isn’t the sort of jacket that you’re going to roll up into a ball and stuff into your rucksack in case of emergencies – while it’s not the most breathable jacket available and it’s arguably at the upper-end pricing-wise, it’s a proper winter riding coat that’s ready for the worst the UK weather can throw at you, it looks good, its clever features work well enough and is about as practical as it needs to be. Smiling in the face of rain? Endura is from Scotland. Scotland has some really bad weather from time to time so you can expect bad weather clothing designed by Endura to be pretty good and fit for purpose. With its 2.5 layer, waterproof and breathable fabric, rollaway hood, adjustable hem and cuffs and dropped tail, it certainly ticks all the ‘horrible weather’ boxes. In use, it works well too. There are three pockets, all on the front. Two for your hands and one on the chest (with the seemingly-obligatory media port), all of which have sturdy, waterproof zips. The main zip features a storm flap and has a ‘garage’ – a small flap of material to stop the zip getting caught in your rugged Scottish beard, presumably. The hood folds away neatly into the collar when it’s not in use, which is so much better than a detachable hood which will more than likely get lost if you actually detached it. Arms are really long and have Velcro adjustment straps at the cuffs and there are large, zipped vents under the arms for when things warm up. Sizing and fit are both as you’d expect for a mountain biking jacket – adequate room for layers underneath, not a figure-hugging race jacket but not really flappy and baggy. Just right. It’s available in red, black, yellow or the nice two-tone blue of the one tested here. It’s also available in a women-specific cut in the same colours (so no ‘lilac and pink for the ladies’ nonsense). A women’s cut version is also available. 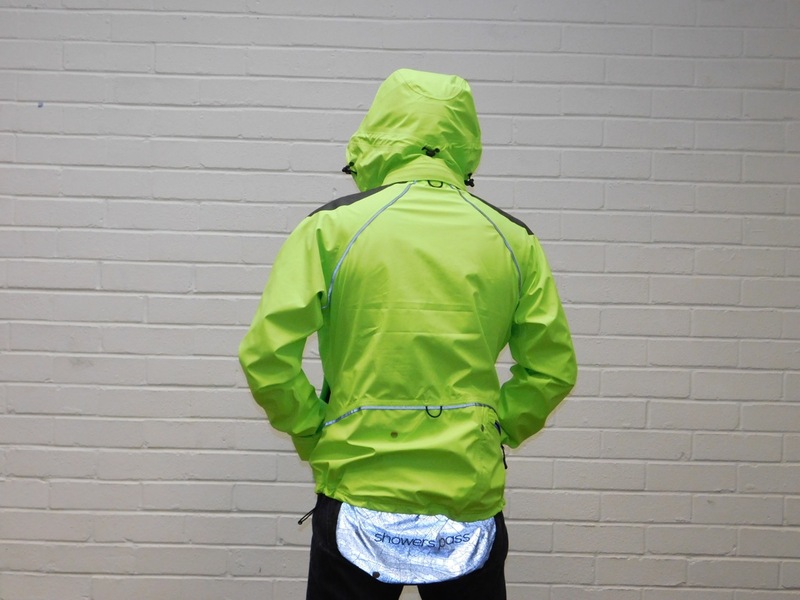 It is a warm jacket – you do have to use the pit vents if the weather is just wet rather than very cold but it’s still perfectly usable on milder days if you ‘run hot’ and you’re prepared to take things steady. It’s also reasonably packable, so on the odd occasion that the sun comes out you can stuff it in your backpack. 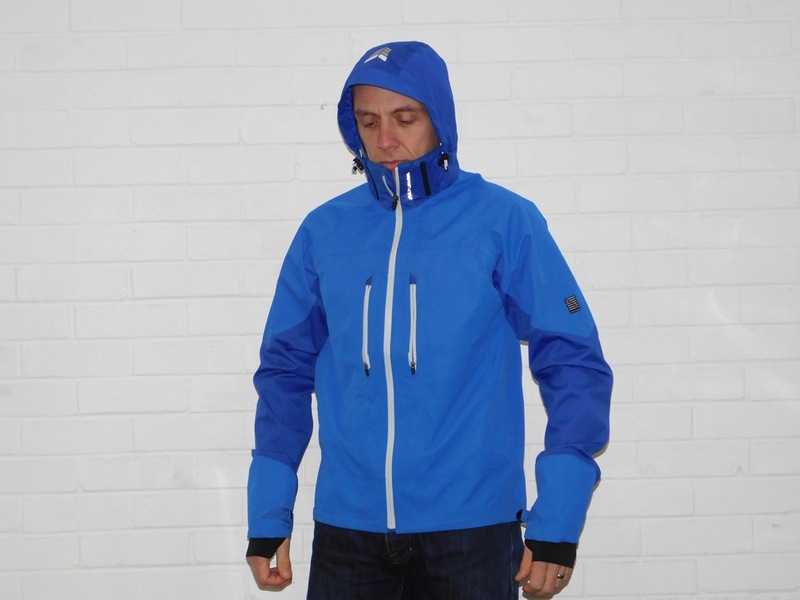 For the price, you’re probably going to struggle to find a better jacket for the typical UK autumn and winter. It’s durable, stays waterproof even after several washes, has all the features you’re likely to need and is adequately breathable. Great value. Looks good on and off the bike. Madison’s Roam jacket, with its lack of rear pockets, a relatively ‘normal’ cut and fabric that looks more like cotton than some kind of rubbery techno-fest, is one of the most casual and ‘going out in town for a few drinks or to the football’ cycling coats I’ve encountered. There aren’t any hi-visibility, shiny, big-long-flap-over-the-bum style cues here. The waterproof (10,000mm) fabric beads water incredibly well and there was hardly a hint of the jacket getting soaked through during the test period. It’s reasonably breathable and there’s a nice layer of mesh to help the jacket feel better against bare skin but in spite of the open vents (that are merely flaps, you can’t zip them up) on the back I was pulling the front zip down while climbing on all but the coldest of cold northern mornings. That said, it is a nice warm coat for walking to the shops or waiting for a taxi. Jason demonstrating the street clothing look. The hood hasn’t got a rigid peak but the fabric is sturdy enough to not go completely floppy and does a good job of keeping heavy rain off your face. It can be pulled tight with the elastic cords on each side if the need to stay dry eclipses the need to look cool. The hood isn’t big enough to go over the top of a helmet so it’s an under-helmet job with all the donning and doffing challenges that brings. 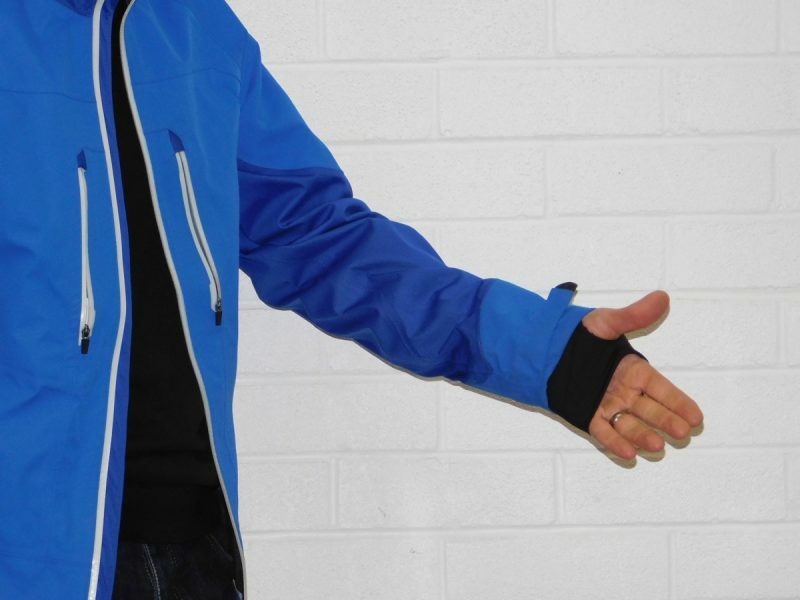 There’s a pocket on the left-hand sleeve the like of which is commonly found on a snowboarding jacket and would normally be intended for a lift pass, but presumably the jacket designer thought that a lift pass pocket would be just as useful for a mountain biker’s jacket. To be honest I normally forgot it was there but I guess it’d be handy for a door key (but not a bunch of them) or a fiver. Lift pass or buss pass? 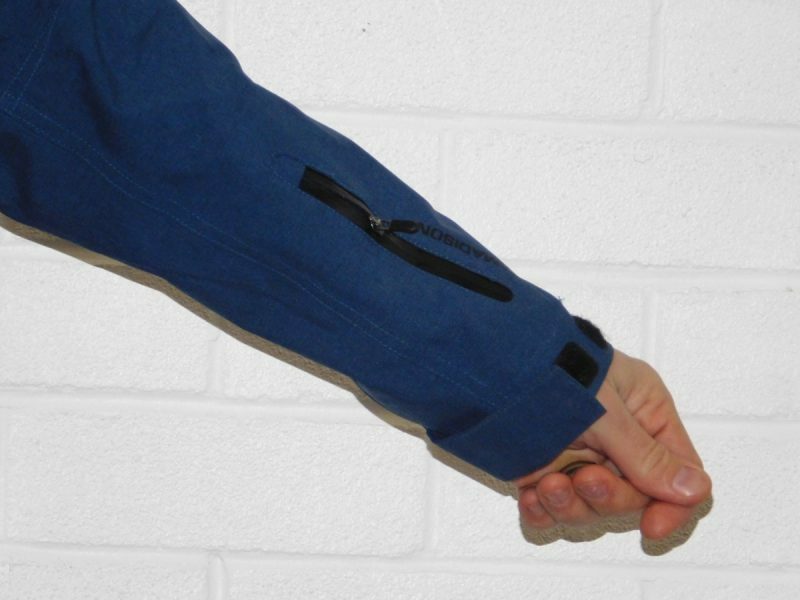 Two ‘regular’ pockets on the front for your hands are always good to see, even on a jacket meant for cycling, and there’s a very deep and very secure chest pocket with a diagonal zip. Diagonal zips on chest pockets are like heated car seats – you don’t realise what a brilliant thing they are until you’ve used one. This jacket doesn’t have any rear pockets. All the zips have large plastic-ended drawcords on them and there weren’t any problems zipping or unzipping the jacket or its pockets while riding. No rear pockets or reflective bits, but still designed for cycling. Madison reckons this jacket is “perfect for those who don’t want a different jacket for every day of the week” – I can sort of see why that might be the case, from a pure styling perspective I do think it’s more suitable for the pub (or the slopes) than for riding bikes. Of all the cycling jackets I’ve worn during this test, this is the one I wore the most when I wasn’t riding my bike. 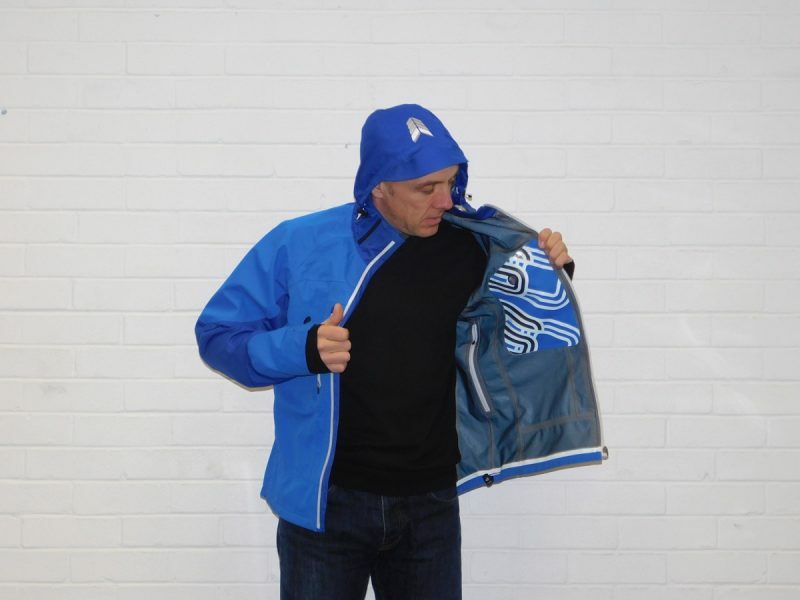 When I did wear it on the bike I was struck by a level of water-shedding and breathability performance that was equal to other jackets that cost a lot more money. 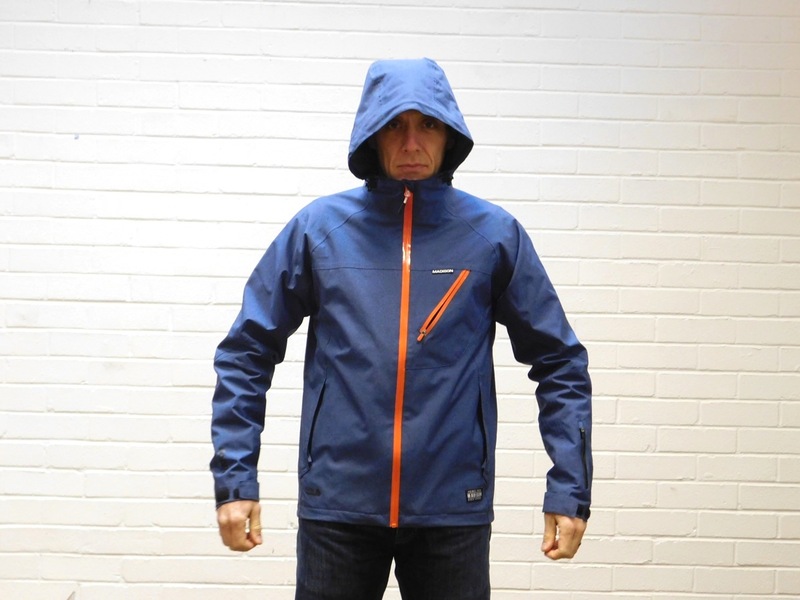 A decent, genuinely waterproof jacket for those of us who want to stay dry but don’t want to look like a cyclist….or as Madison say, don’t want to own many jackets. I’m not sure what you’re supposed to do the morning after a wet, muddy night ride but at this price maybe you can buy two…. Available in BRIGHT, or black or red. You can tell as soon as you pick this jacket up that it’s very, very high quality. 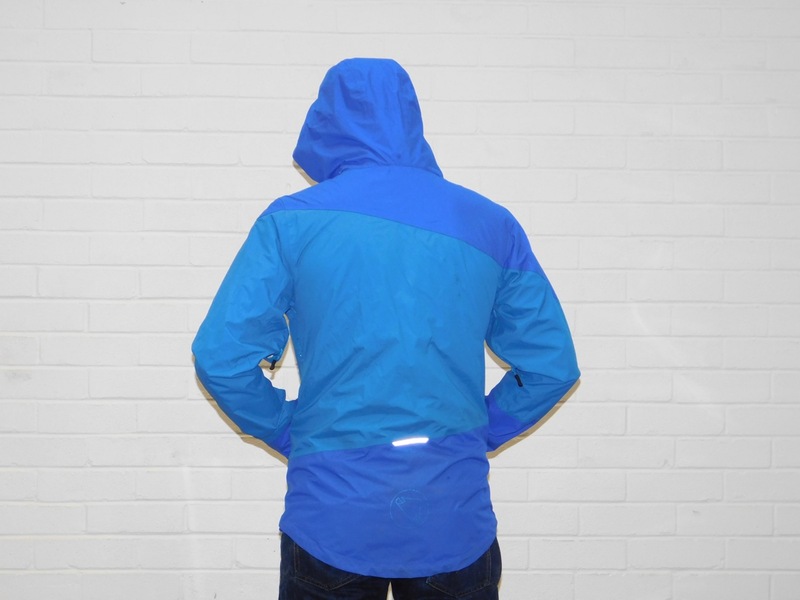 Its 3-layer Elite fabric, while quite soft and ‘not crinkly’ (cosy, even) is fully waterproof, all the seams are taped and zips are watertight and nice and chunky. I reckon the striking and even-louder-in-the-flesh yellow colour looks great but if you don’t want to look like Bananaman the Refuge is also available in red or black. It has a detachable hood that is large enough to go over a cycling helmet (hurray!). The fact that the hood can be deployed without having to mess about taking your helmet off and then adjusting it so it’ll fit over the top while the heavens have probably just opened, is a great selling-point. The collar is fleece-lined, there are handwarmer pockets at the front and there’s a highly-reflective ‘bum-flap’ at the rear of the jacket that is big enough to stop pretty much all water reaching your backside (or can be used to sit down on a wet bench) but can be folded upwards and inside the jacket and secured by 2 poppers for when you don’t need it. There’s a small pocket at the rear of the jacket with an angled zip to make it easier to retrieve whatever you’ve got stashed in it. There’s a media port in the single chest pocket and there are even 2 rear light loops. Hem and hood have elastic cord adjustment while cuffs have a Velcro strap each. Our size medium wasn’t a baggy jacket and at first it felt quite bulky – the collar is quite tall but that just adds to the ‘ready for anything’ feel. The shape was actually perfect for me but there’s room for some winter weight gain without things getting too snug. While the Refuge’s almost-perfect fit and obvious quality is really impressive, its breathability is probably what impressed me the most. I tried, but I seemed to be unable to overheat or get uncomfortably sweaty in this jacket. There are large zipped vents on the front for mild-but-wet days, but in chilly weather they were hardly needed. It’s not a packable jacket by any means (unless you’ve got a lot of spare room in your backpack) so good breathability is a must. Many reflective bits, and many zips. Several rides in really horrible wet weather and a few machine washes later, the Refuge is just as waterproof, breathable and YELLOW as it was on day one. Granted this is a very expensive jacket and you can buy two decent jackets for the same money (and probably have change) but the sheer build quality, neat features and a fabric that for once lives up to its bold claims mean that if you can afford one, it’d be cash well-spent. 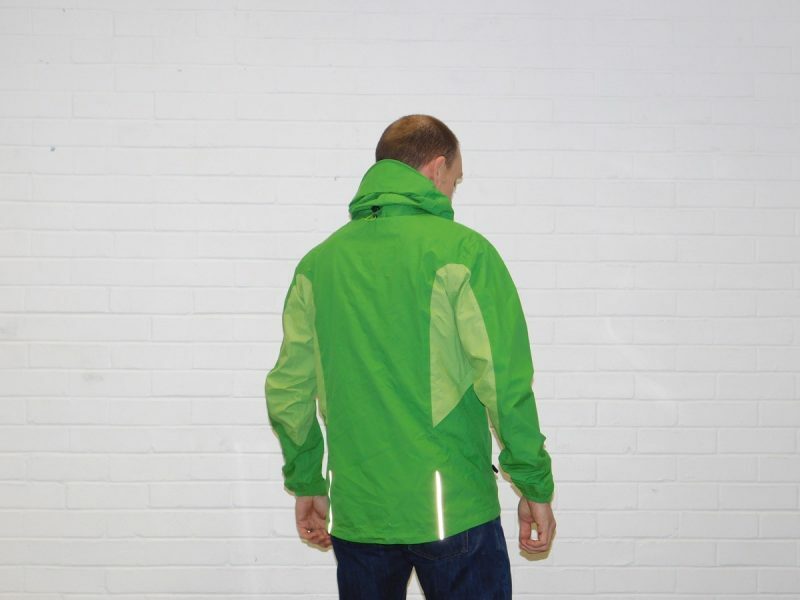 The Yaras jacket is made from a 2-layer, environmentally-friendly (Vaude call their sustainable policy ‘Green Shape’) waterproof material called Ceplex Active. It’s completely waterproof, breathable and produced fairly, so you know nobody’s been treated badly in the name of keeping you dry. It’s a nice jacket that packs down reasonably well (into a backpack rather than a jersey pocket), it’s nice and light at 350-ish grams but If I’m being perfectly honest, the sizing is aimed at silverback gorillas. 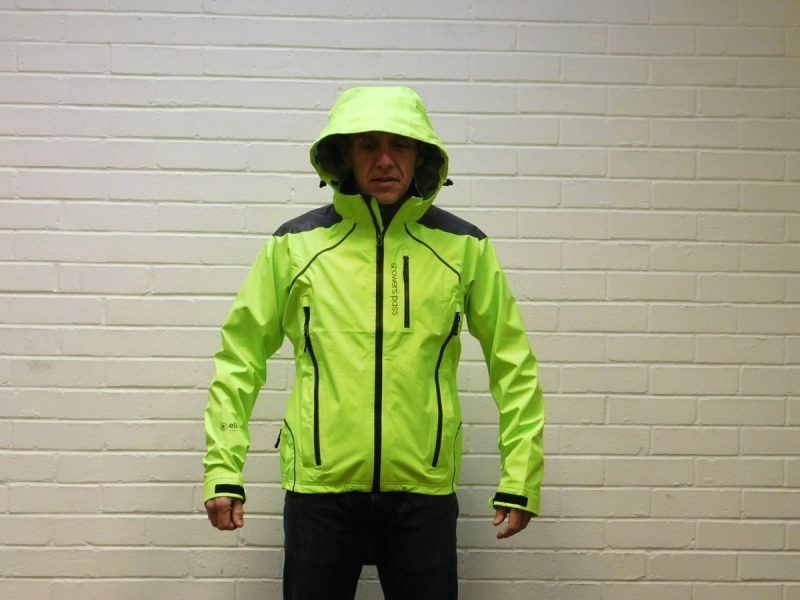 Although lightweight, the material resembled recycled shellsuits a bit much for my liking. Yes I know we’d all be prepared to wear a binbag if the weather was cold and wet enough, but still. The Yaras is available in black (as well as red or blue) so perhaps that’s the best option for those of us who don’t want to look like David Icke (Was that not turquoise? – Ed). Performance-wise, it’s pretty good. It remained waterproof and didn’t become overwhelmed even after a couple of washes. It’s very breathable and coped well with my sweaty huffing and puffing even with the pit vents closed. There’s a good-sized, rigid-peaked hood (not big enough to fit over a helmet though) that features an elastic cord at the back to adjust the size. Zipped pit vents assist cooling and there are two zipped hand pockets on the front. 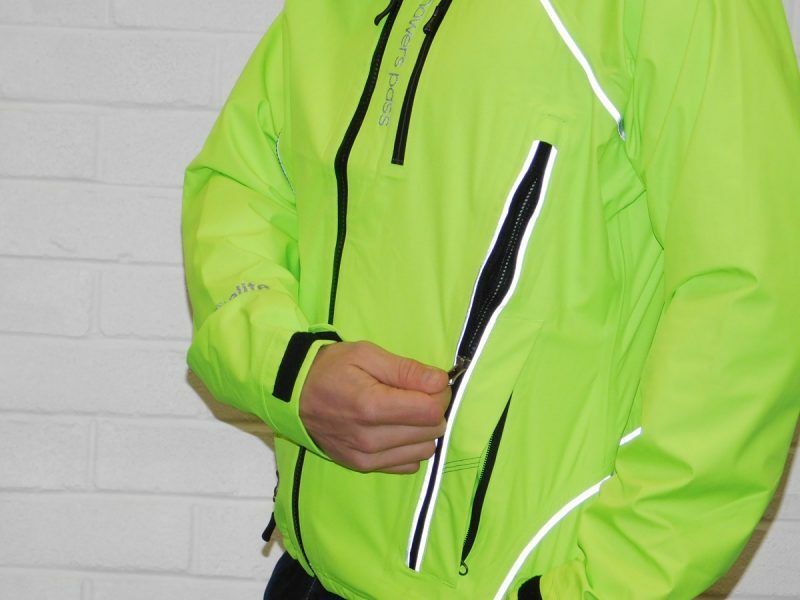 There are no rear pockets and only a minimal amount of reflective features. The arms are nice and long and there’s a modestly-dropped tail to protect the all-important rear end from wheel spray. Slight dropped tail and reflective detail. As I’ve already mentioned, the sizing is very roomy. So roomy, that the first jacket we received was a medium but fitted more like an extra large. The replacement small-sized item fits a bit better but it’s still on the baggy side. The Yaras is available in XXXL size – I can hardly imagine the size of the person that one’s aimed at. Slim people or those who can’t stand flappy jackets should look elsewhere. That said, it’s not the warmest jacket here so there’s room for a few layers underneath. 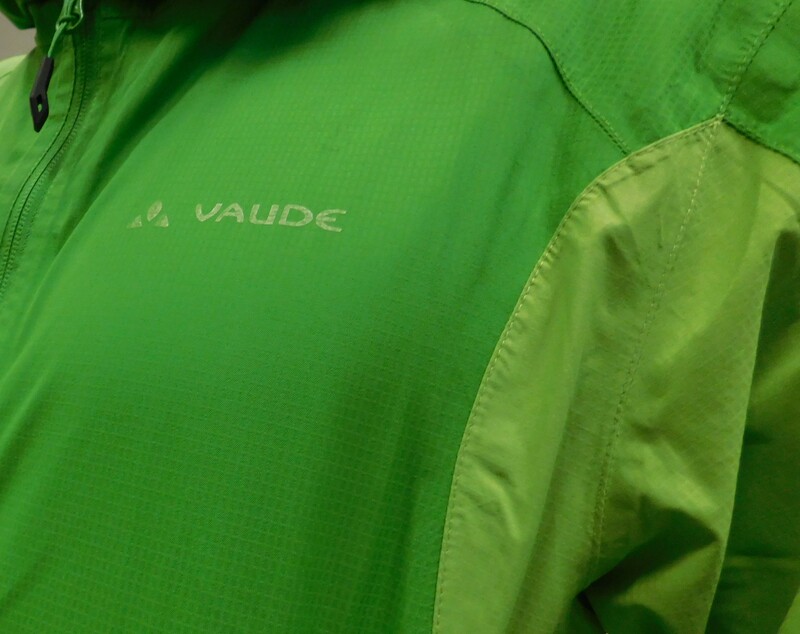 Credit to Vaude for their sustainability credentials and for producing a no-nonsense jacket that works really well. As is often the case for ‘green’ products though, it’s pricy compared to other more feature-packed (and perhaps less-sustainably or fairly produced) jackets. The sizing is a mile out, it’s basic and the appearance is unconventional but it’s light, fully waterproof and ideal for keeping in a backpack ‘just in case’ from autumn to spring. All of the jackets in this test will do a good job of keeping you dry and warm now that “dry and warm weather” is off the menu for a while and some do their job better than others. 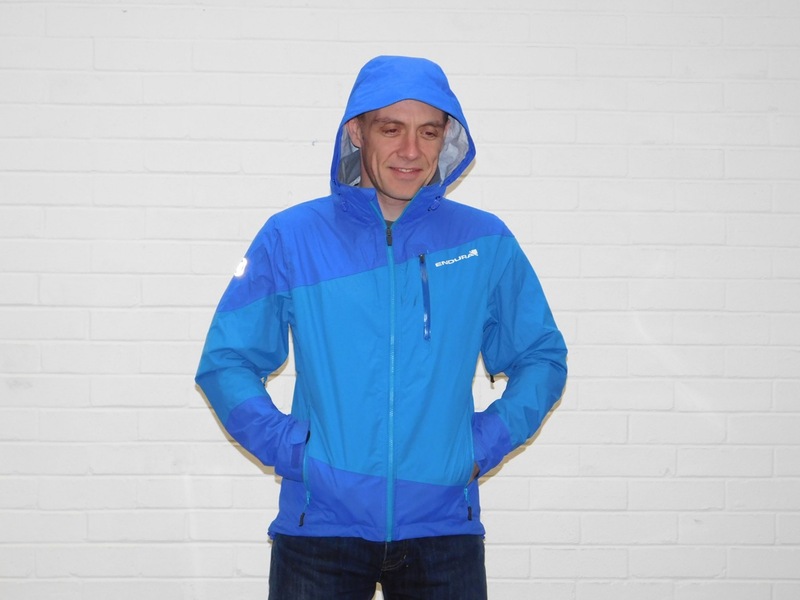 Unsurprisingly the most-expensive jacket here – the Showers Pass Refuge – is without doubt the most high-performance and feature-packed and has superior waterproofness and breathability. If you can afford one and are planning to spend more than a couple of hours outside in wild locations and wild weather, it should be on your shortlist. High performance and feature packed. At the other end of the price scale, the Madison Roam makes up for its relative lack of techy features by being just a nice coat that looks good and will keep you warm and dry as long as you don’t expect too much of it. A nice coat that looks good. The jacket I’d spend my own money on would be the Altura 360 Attack. On balance, while the Endura SingleTrack is a great jacket, if you’re going out in really cold weather and you prefer something a little bit more sturdy, the Altura 360 Attack is probably worth the extra outlay. It’s breathable enough, warm enough and has plenty of well-thought out features (and a rear pocket big enough to carry a whole Jamaica Ginger Cake). Suitable for carrying a whole cake. 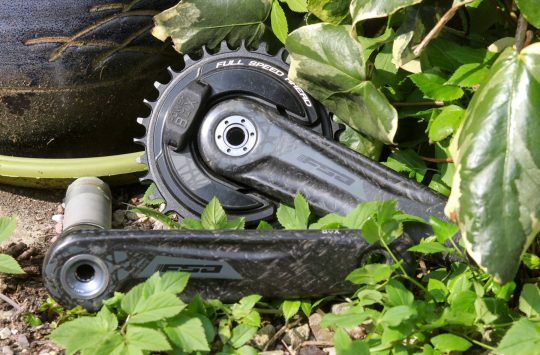 Polaris Bikewear Are New To The Singletrack Partner Zone! Altura 360, not available anywhere. Madison Roam, not available anywhere. At least that was the case in July, and September when I was trying to buy them. 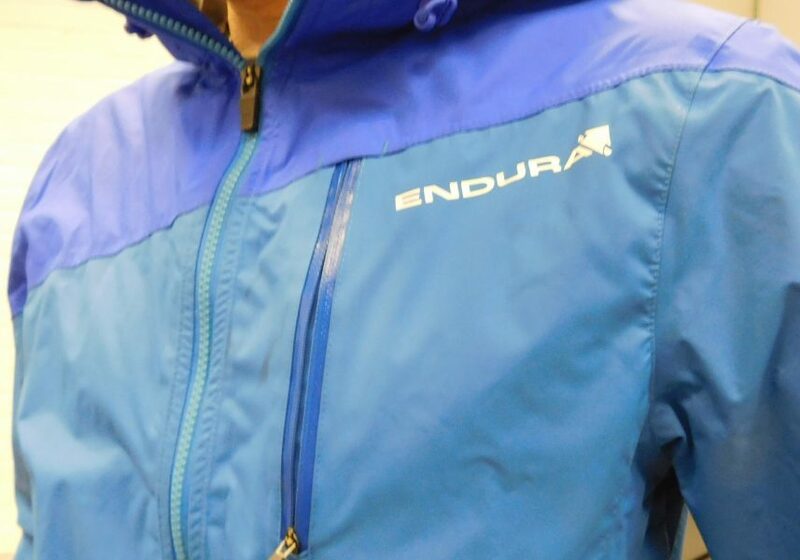 Ended up buying a Endura MT500 as found a shop with one in (also was not available on-line anywhere). Its good but stowing the hood is useless, leaves it very uncomfortable. 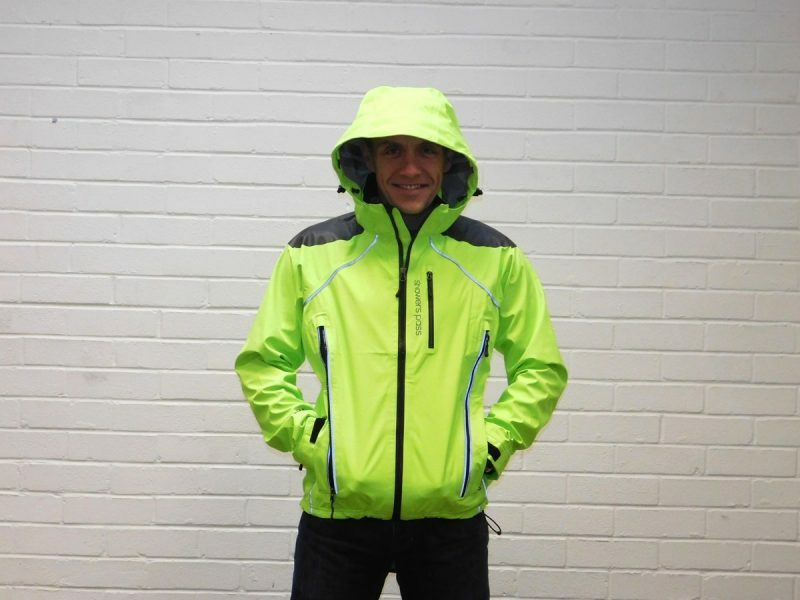 Good jacket otherwise, much more comfortable trying on in the shop compared to the Singletrack jacket. the 360 and Roam seem to both be readily available now…. cant say fairer than that really, so long as you like red.